With this product you can accumulate up to 44 Glitter Points. Your eyes appear smooth, fresh and radiant-looking. 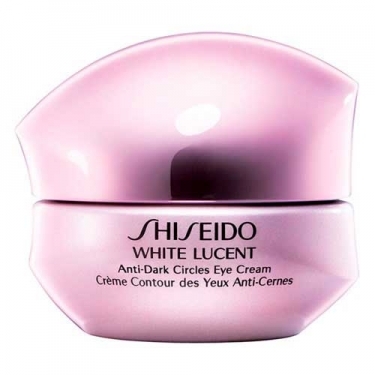 Anti-Spot Anti-Dark Circles Eye Cream is a Shiseido anti-dark circles eye cream for the eye contour. This formula was specially developed to target the 2 main causes of dark circles: accumulation of pigmentation and poor circulation. It delivers intense hydration to the delicate eye contour thanks to its Super Hydro-Synergy Complex N to leave skin hydrated, bright and youthfull looking. Luminizing Powder offers instant filling and greater luminosity.Perfect Hydrating BB Cream SPF30 is a Shiseido multifunctional cream to leave skin with a bright and vibrant look. This lightweight oil-free texture combines makeup effect and skincare benefits. Moisturizes and protects the skin with SPF 30. 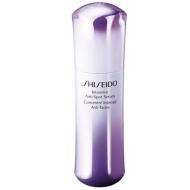 Reduces the size of the pores and smoothes irregular texture. This formula was developed with Tiortaurina and Rose Apple leaf extract to help prevent skin oxidation. Your face appears even, radiant and shiny. Apply gently to eye contour. For bests results partner with Anti-Spot Intensive products.